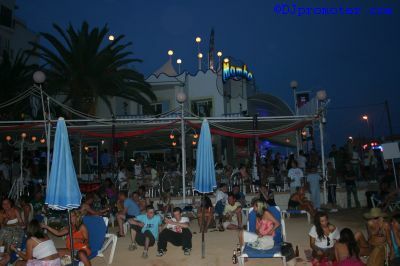 Despite the sunset having been spoiled somewhat by too much cloud, it didn't affect the relaxed and laid back atmosphere at Mambo. 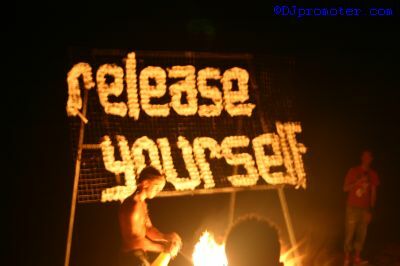 Roger Sanchez was on the decks for his Release Yourself pre-party, spinning some cool Balearic grooves befitting of ay sunset. 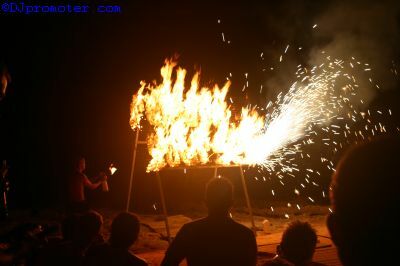 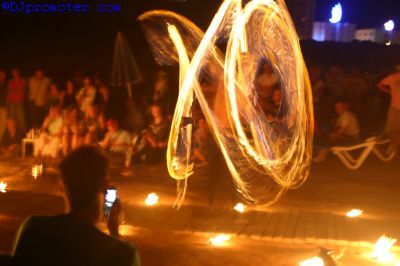 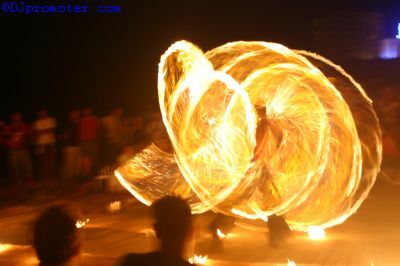 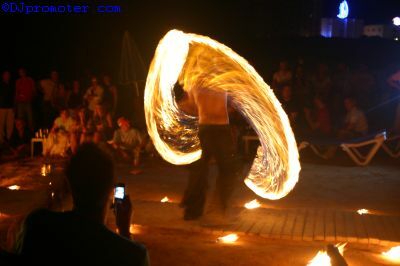 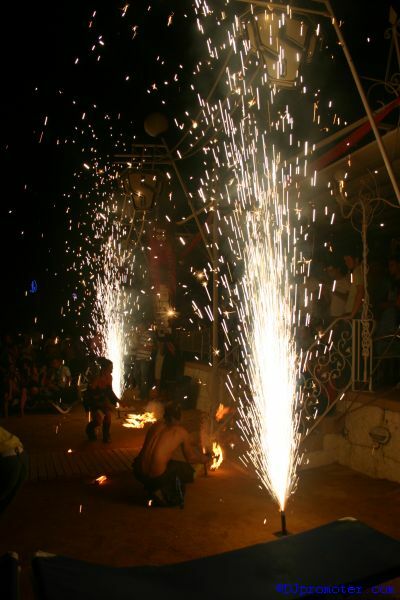 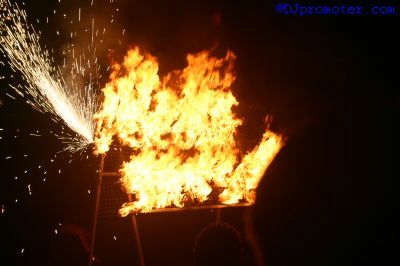 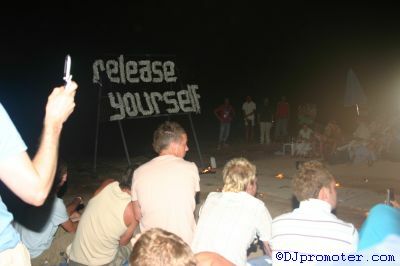 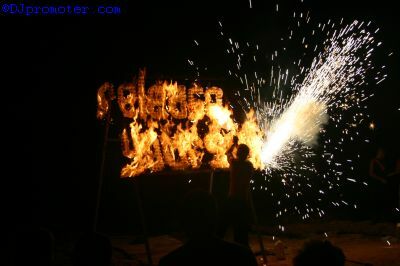 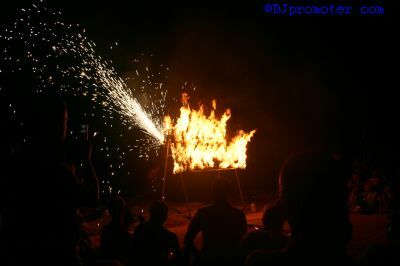 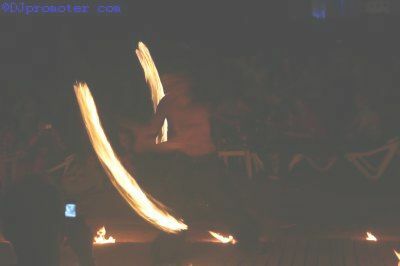 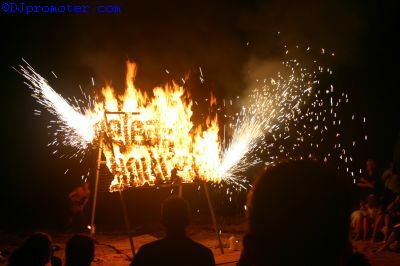 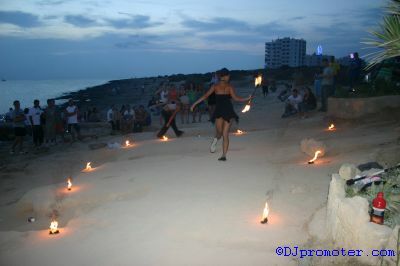 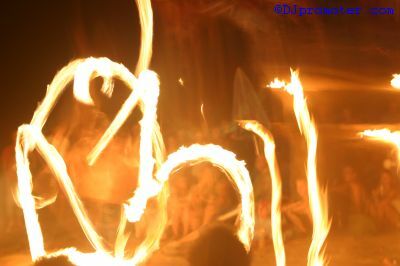 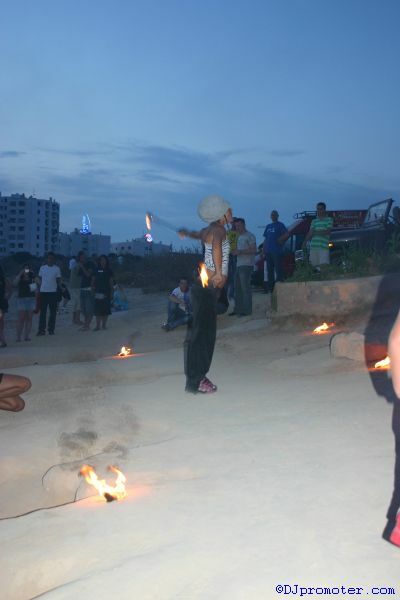 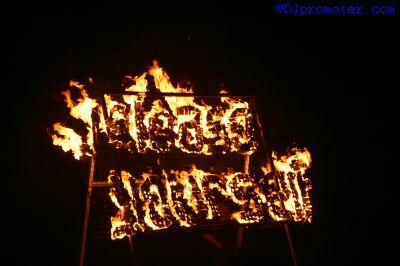 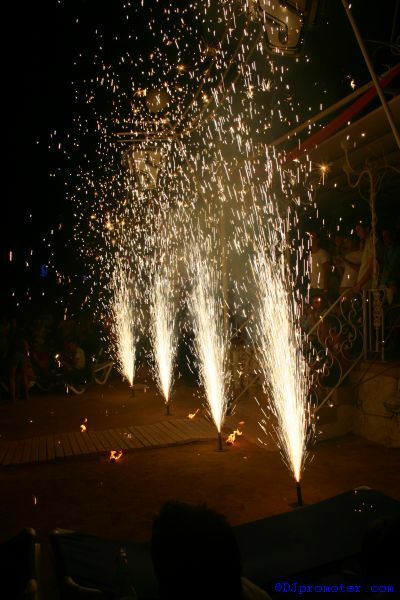 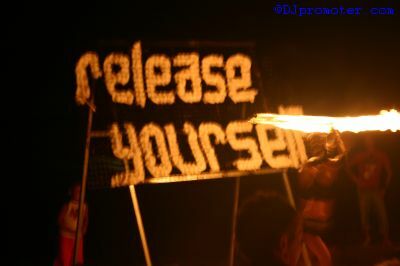 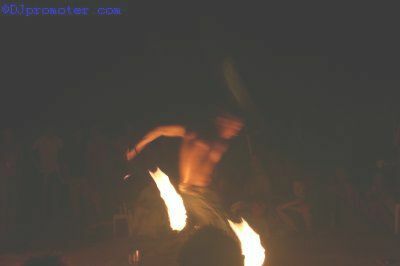 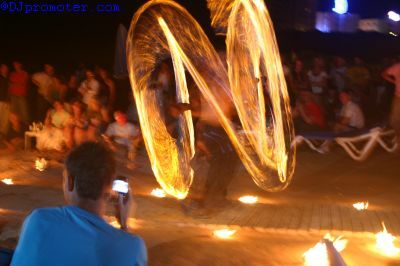 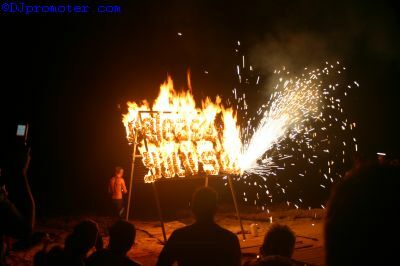 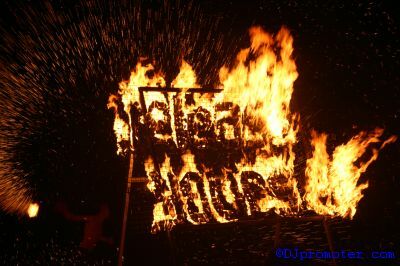 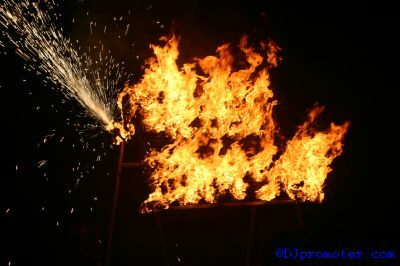 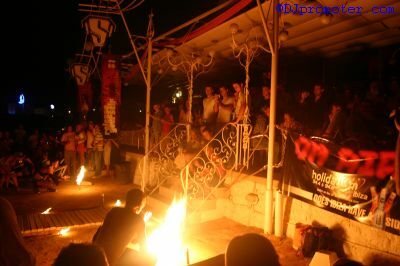 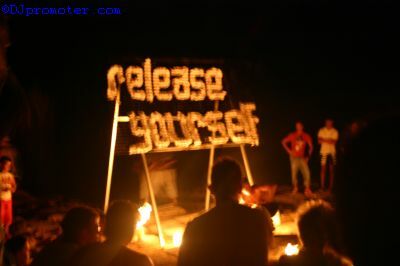 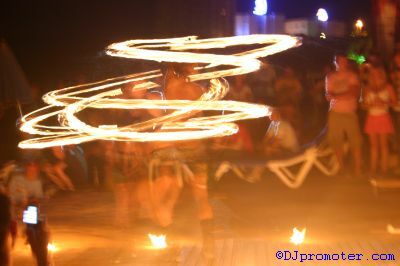 Whilst outdoors, the crowd were further entertained by the performers who were literally playing with fire. 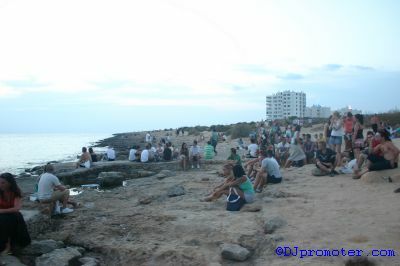 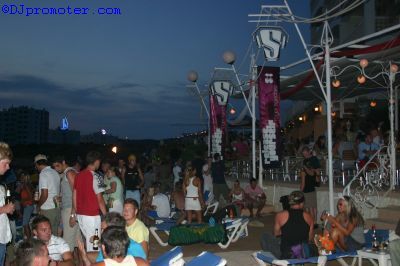 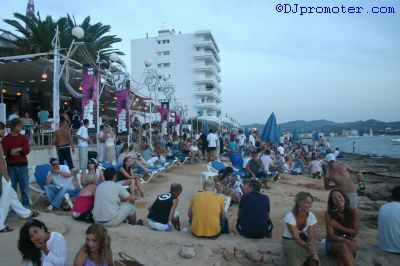 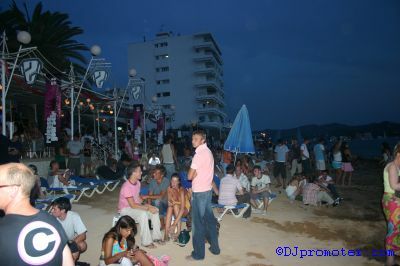 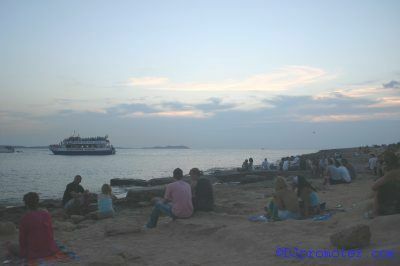 This was a great way to spend a Monday evening, in preparation for what is traditionally one of the busiest clubbing nights in Ibiza. 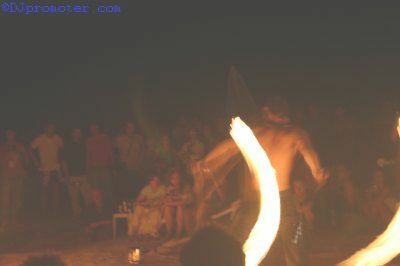 The following photos were all taken on the evening of 1st August 2005.